The list of the Belgian bred horses that perform on the highest level is endless. 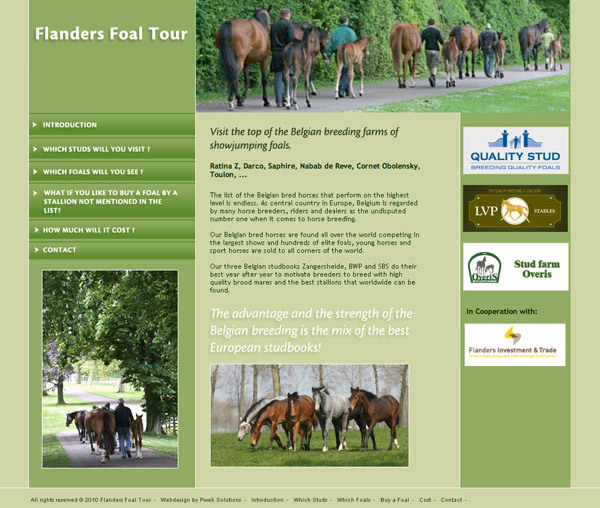 As central country in Europe, Belgium is regarded by many horse breeders, riders and dealers as the undisputed number one when it comes to horse breeding. Our Belgian bred horses are found all over the world competing in the largest shows and hundreds of elite foals, young horses and sport horses are sold to all corners of the world.